The FDA has determined that powdered surgeon’s gloves, powdered patient examination gloves, and absorbable powder for lubricating a surgeon’s glove present an unreasonable and substantial risk of illness or injury and that the risk cannot be corrected or eliminated by labeling or a change in labeling. Consequently, the FDA is banning these devices. I noticed that the rule was proposed back in March but it was officially ruled on today and becomes effective on January 18, 2017. This is a short video which demonstrates how rubber gloves are made. The process hasn’t changed much over the last 20 years except for the types of solutions. It’s part of my glove history and I thought it would be interesting for the average lay person to see. Link: How to make rubber gloves. You may want to also see our range of disposable gloves used in healthcare, food service, and industry. This story appeared in my in-box a few days ago and although it’s not new news, it’s a topic that I’m an expert on since it is how I got into the glove business 25 years ago. 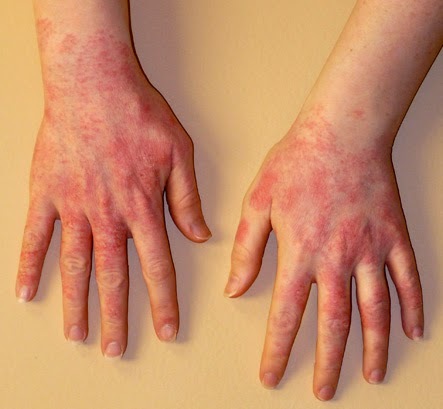 Latex allergies and the use of latex gloves have been a problem for decades and only gets worse over time due to repeated exposure. Link to story by ABC NEWS. The healthcare industry has largely migrated to Nitrile gloves to avoid user and patient exposure to latex but the food industry has lagged far behind. Now it seems that some states have even passed laws prohibiting the use of latex gloves in food handling and more are working on getting bills before state legislatures. As a matter of fact, we even discontinued offering latex gloves as part of our Food Service Glove line. We’ve even managed to switch most of our Food Service Glove customers to vinyl gloves which are also half the cost to latex gloves. 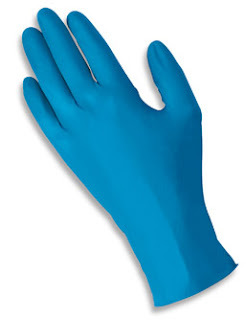 We also offer glove liners for workers who continue to wear latex gloves in other industries. Also see link about “Problems with Latex Gloves” on our web site. If anyone has any questions or needs any assistance on this topic please let us know. Problems caused by latex gloves got me into the glove business 19 years ago. At that time, I developed special glove liners to protect healthcare professionals from latex allergies which we still sell today. The conclusion to this study is not new information to us on the front lines of hand protection but we know many of you must be reminded that latex issues still exist. However, latex gloves have come along way since my Glovenaut days and the OSHA regulations regarding glove use in healthcare. Also coincidental is that I worked with Geisinger Health Services and Hospital during my early years in the healthcare industry. To read a synopsis of the study, click on the title. Let me know if you have a question about latex gloves. I have a file cabinet full of research information.